This photo of the tablescape where the wedding guests dined is absolutely beautiful with the colored glass drinking glasses and the fine china plates. The view from the table is stunning overlooking the infinity pool and the Santa Monica Mountains. 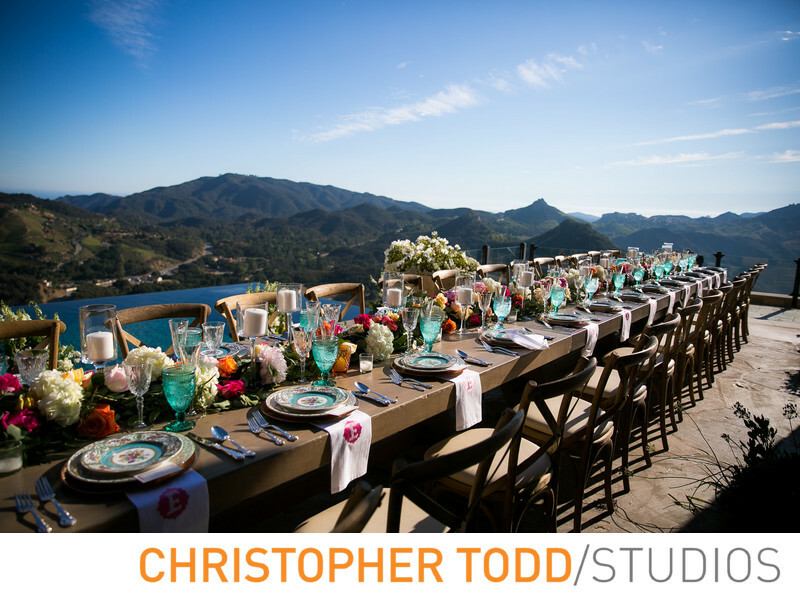 A farm table style dining experience is perfect for weddings at Malibu Rocky Oaks Vineyard. Location: 340 Kanan Rd, Malibu, CA 90265. 1/6400; f/2.8; ISO 200; 24.0 mm.